Avoid risks to your mission and reputation from cyber threats and technology obsolescence. Our model-based systems engineering (MBSE) services provide a single integrated view of your technology infrastructure overlaid with business processes and mission threads so you can take the optimal steps to protect and modernize your environment. The G2 Ops approach integrates systems, data, network, activities and operations. The creation and use of a digital twin typically includes the following processes. Tools alone do not make an effective model. The best digital twins integrate the 3 pillars of tool, methodology and process. Let us show you how our approach surpasses what tools alone deliver. Our MBSE models provide a complete understanding of your system-of-systems to contain cybersecurity risks and ensure mission preparedness. MBSE is radically changing how systems are developed and modernized, enabling greater visibility of your distributed technology infrastructure and predictions of risk, performance and cost. A digital twin created by MBSE is a powerful tool for architecting or remediating systems-of-systems where complex interdependencies exacerbate the challenges of identifying risk levels and establishing viable project plans and budgets. G2 Ops provides MBSE consulting, training and digital twin creation services for clients who need greater visibility and control in their risk mitigation or systems development. We identify where MBSE can provide value, measure the business impact, create the digital twin, then prioritize investments to best mitigate risk. Our engagements range from introductory training and opportunity identification workshops through turnkey digital twin model creation and tuning. Performance Modeling and Simulation. A model of a mission’s key performance parameters (KPP) enables prediction of KPP performance and optimization to requirements. Baseline/Change Management. Life cycle inventory (LCI) models let users automate engineering change requests (ECR) to quickly and accurately predict cost, schedule, and performance before design changes are made. Interface-Based Integration Risk Management. Automates interface management through architecture-managed interface requirements. Key LCI processes are supported by auto-producing interface management plans (IMP). Thread Optimization. Models tactical thread reliability, analyzing for single point of failure and assessing thread-level mission performance in response to primary, secondary, and tertiary system failures. Acquisition Requirements Development. Generates contractor specifications which, when coupled with operational and architecture information, improve understanding of requirements to improve cost and schedule performance. Test Automation. Models system states, allowing for parameter variances for more complete test coverage, auto-generates test matrices based on interface risk, models KPP requirements and auto-generates technical data packages. Automated Technical Certification Package Generation. Creates a complete technical certification package from the MBSE model, ready for EAM and TCM certification. Automated Sustainment Support. A full set of digital twin documentation created for maintenance, training, provisioning and logistics. Secure Distributed Access: Ensures secure access to the MBSE model throughout an enterprise, including model checkout/check-in, advanced analytics hosting and data security. MagicDraw is a powerful tool often used to model business processes, architecture, software and systems. However, the tool alone doesn’t make an effective model. Creating a successful and powerful digital twin requires a methodology for creating and operating the model, establishing interactions between systems and orchestrating the processes for stakeholder input and decision making. For our most advanced MBSE clients, G2 Ops creates digital twins modeling the sophisticated inter-relationships between operations, requirements and architecture. 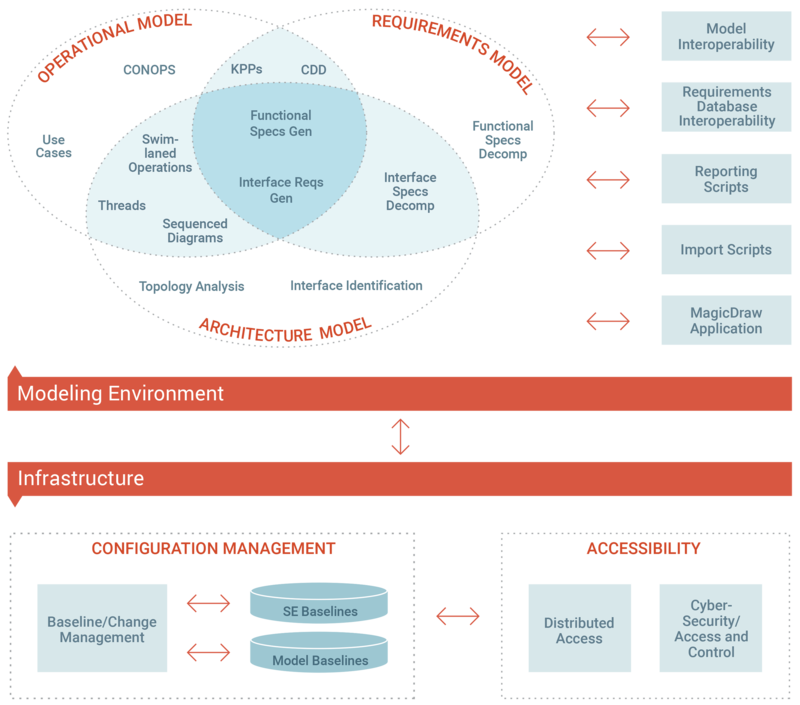 Such deep models enable clients to plan, trouble-shoot and modernize their systems down to the level of mission operations, and eventually to message threads. The digital twin is a digital proxy of your systems, data, network, activities and operations that provides a view of past, present and future behavior. 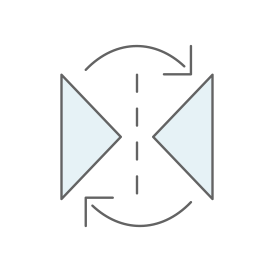 G2 Ops uses model-based systems engineering (MBSE) to create digital twins that provide a single integrated view of your distributed technology infrastructure overlaid with your business processes. This allows us to solve problems faster by detecting them sooner and predicting outcomes to a much higher degree of accuracy than is possible otherwise. G2 Ops uses digital twin technology to capture the mission threads that run through your infrastructure and highlight data flow and system dependencies to gain a comprehensive view of your “as is” environment. This allows us to virtually eliminate guesswork from determining the best course of action to take in configuration planning for your modernization, obsolesce and cybersecurity. You can see where modernization is most needed and where protection measures will best ensure continuity and security for your critical data and business processes. And, you gain actionable insights to know how to prioritize your technology improvements based on business impact.